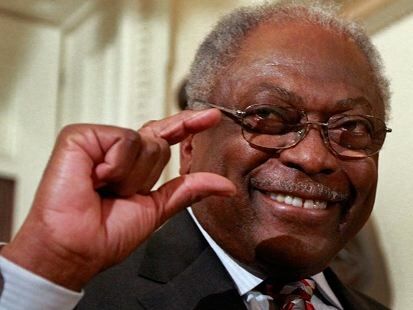 Rep. James Clyburn (D-SC): "I've said time and time again, if the President gets up to August 2nd, without a piece of legislation, he should not allow this country to go into default. He should sign an Executive Order invoking the 14th Amendment and send that to all the governmental agencies for us to continue to pay our bills. He could do that with a stroke of a pen. "We've seen many big things done in history that way. I've joked with my staff the other day, 'tele me what was the bill number of the Emancipation Proclamation.' It was an Executive Order. We integrated the armed services by Executive Order. We integrated public schools by Executive Order. Sometimes executives must order that things get done." Press To Carney: Where's The Plan?